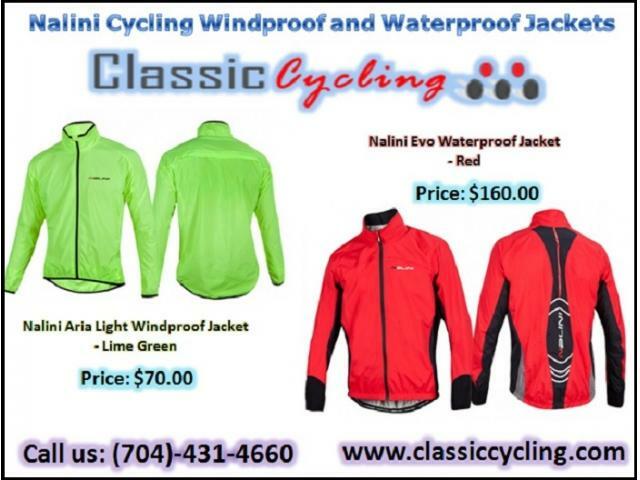 Nalini cycling jackets have the style and comfort you would expect from a product made in Italy. There is a Nalini cycling jacket to meet your needs, from a lightweight to a thermal jacket. Nalini is a material recently created in modern research laboratories by means of the most advances technologies in the microfiber’s production field. It offers peculiarities similar to natural chamee-leather, as well as excellent properties of practical use: it has a supple surface soft to the touch, it avoids troublesome skin inflammations thanks to its good transpiration and it offers an excellent resistance to tears, abrasions, as well as to stress in the washing machine at 30 °C. Nalini is therefore the up-to-date answer to the most exacting cyclists. Nalini, moreover, thanks to a higher number of microfibers per volume than natural chamee-leather, it offers a pleasant softness and flexibility. Water-proof jacket assembled with 2.5layers fabric. The garment ensure great water-wind protection and perspiration.